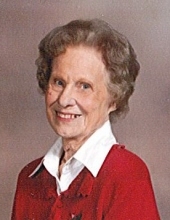 Betty Holland Mayes, 84, of Chapin died Thursday, February 7, 2019 at her residence. Mrs. Mayes was born on September 5, 1934 in Laverne, Alabama a daughter of the late John B. and Mammie Holiday Holland. She was a member of Chapin Baptist Church and had previously worked for the US Air Force in personnel. She was a devoted wife supporting her husband throughout his military career. Collecting antiques and gardening in her yard were among her favorite hobbies. Survivors include her husband of 63 years, Jess B. Mayes; her son, Jesse Mayes (Denise) of La Follette, Colorado; a brother, Ben Holland (Pat) of West Columbia, SC and nieces and nephews. In addition to her parents, she was predeceased by her sister, Mary Gordan. Graveside funeral services will be held at 4:00 PM on Saturday, February 9, 2019 in Chapin Baptist Church Cemetery. Memorials are suggested to the Chapin Baptist Church, 950 Old Lexington Hwy, Chapin, SC 29036. Whitaker Funeral Home, Chapin, is assisting the family. "Email Address" would like to share the life celebration of Betty Holland Mayes. Click on the "link" to go to share a favorite memory or leave a condolence message for the family.